As each year passes many of us look back and ask ourselves “where has the year gone?” 2011 is certainly no different. For businesses caught up in the events in Canterbury, our thoughts have been with you throughout and we wish everyone a successful 2012. For many of you the work speeds up at this time of year but the redline team is going to take a short break. We will be back in 2012 with a new look. Keep an eye out. We would like to take a moment to say thank you for your business and have a happy and safe festive season. The last few weeks before Christmas always seems to be frantic, no matter how prepared you are. In this tough economic climate managing the expectations, both of customers and staff, is always a tricky balancing act. Plus of course, all the business as usual issues still need to be addressed, including the end of the financial year for some. The New Zealand Retailers Association has put together some guidelines to help businesses get ready for Christmas, including sound advice for all businesses, such as building security. Visit New Zealand Retailers Association. If you’re still struggling to organise cards or gifts for your customers, we can help you get Christmas sorted with mailing deadlines, gift cards and Christmas cards. Our Send a Card service offers cards which can be personalised, printed and delivered to your customers in 7 working days or less, without you having to leave your desk. 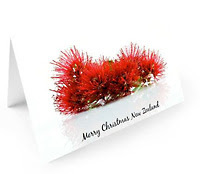 There’s a special Christmas offer, valid up to 15th December 2011, of a $1.00 (GST inclusive) discount on all domestic greeting cards and postcards. Visit Send a Card and enter the promo code ‘REDLINE’ before submitting your order.